Nobody’s Opinion Matters More Than My Own! 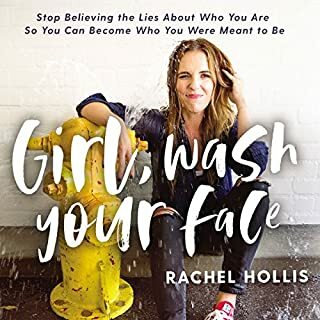 Loved this book because the author addresses a lot of the lies we hear from our families, society and social media and gives the reader thoughtful advice about what their options are to deal with life and the struggles we face. Having it read by the author adds a lot of context that I feel adds to the story - I think this emotion is hard to convey in the written word. Funny and Poignant - This book changed my life! 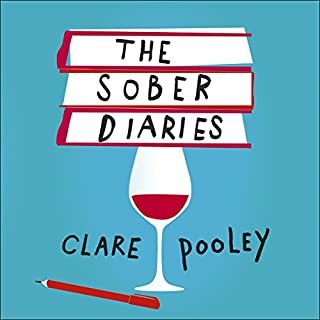 The author and narrator of this book combine to bring British humor/wit together with the everyday ordeals of being a mom and spouse with social anxiety issues into the modern light. The book is so alive with both technical details(scientific studies) and practical mathematical analysis(how much time, money, weight, relationships) are wasted on alcohol and the condition of being wasted. I truly enjoyed how convicting it was to me - even though I don't consider myself an alcoholic - to just give up the stuff for good. It really is not a value add to my life and the "Wine Witch" does like to fly in whenever I have emotions to feel - a victory, a defeat, cancer, loss, loneliness and boredom. I also appreciated the "coping mechanisms" to deal with our Alcohol drenched society that seems to push us to drink to fit in. My new drink of choice is ice water with lime - looks like a drink - but is way more refreshing! I've subscribed to the app NOMO to count the days, money saved and time saved by making the choice to be sober and to journal my own thoughts(privately) on sobriety. I also want to look up your blog so hoping there is a pdf with resources and another book from you coming soon. 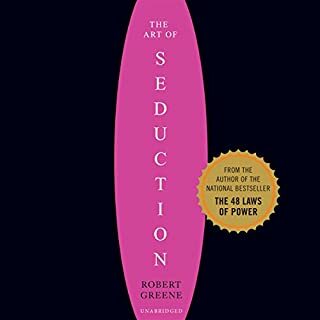 Had read the hardcover book and loved the anecdotes of how people throughout history have influenced others by charm and seduction. While it’s not a magic science, it does show the value of helping others to see their value as a way to propel your mutual fortunes forward. It also shows what to avoid in terms of “anti-seduction”. I listen to the audible book over and over as their is a new history lesson every day. Filled with hope and a vision of what love can be that I think is far beyond what most of us experience. Inspires me to seek the type of relationship which is healing to all who are in its presence. Great ideas on creating a home, family and romantic life that is a refuge and a place of joy. Amazing story of the independence of India and the romance behind it! 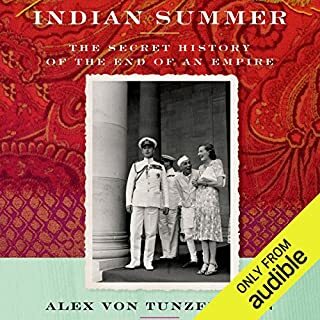 This epic story gives insight into the key characters of the independence of India - the largest democracy in the world - and the legendary men and women behind the peaceful revolution- Lord and Lady Mountbatten, Gandhi and Nehru. It does not sugar coat their vices, failings and fears but it also clearly defines their contributions and passions. I loved the personal insights into the diaries and love letters. The speaker was a great choice because her feminine voice helps listeners to enjoy the interpersonal dynamics instead of just looking at this as a political documentary. Well done! poignant!